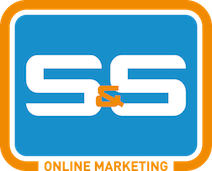 S&S Online Marketing is a global online marketing agency offering a wide range of services, depending on the wishes and goals of our clients. It is of great importance that your website and other online business channels are being found by your target audience. We are specialized to increase the relevant traffic to your desired page. This can be either your website, instagram account or an important blog that you would like to promote. Every client is unique for us. In a first meeting we would like to discuss your needs, possible problems, understand your products/services and of course your target audience. Based on this information, we are able to offer a free quote or online marketing scan. The outcome of this scan will describe where we should work on and how we can help you to reach your goals. The online world is changing frequently. Therefore we would like to offer you the best service according to the most up to date possibilities. To do this, our team consists of different specialists who are daily active with their main focus activity. All individual team members work closely together to maximize the outcomes of our online campaigns. By this, you know that our dedicated specialists are always on top of the market and you will stay ahead of your competitors. Why choose S&S Online Marketing?